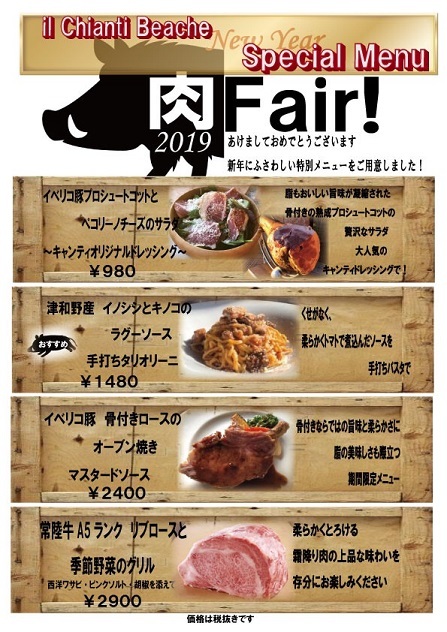 ☆肉 Fair !! 2019年元旦1月1日（火）～ スタート!! Copyright2005 iL CHIANTI BEACHE. All Rights Reserved.